Made Fresh Daily with Aloha! 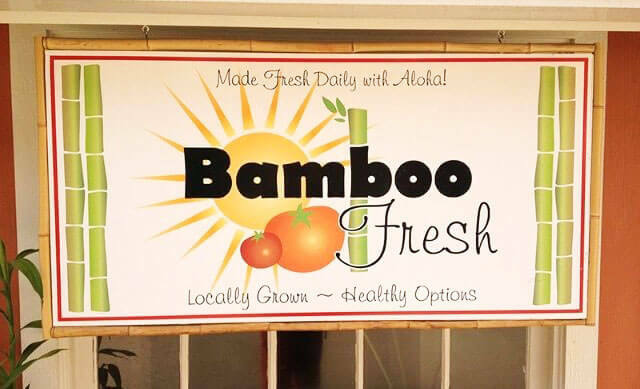 Bamboo Fresh lives up to its name: they serve fresh, delicious food – most of which is locally grown. They are also vegetarian and vegan friendly and offer vegan options like local GMO-free tofu, along with locally sourced fruits and vegetables. 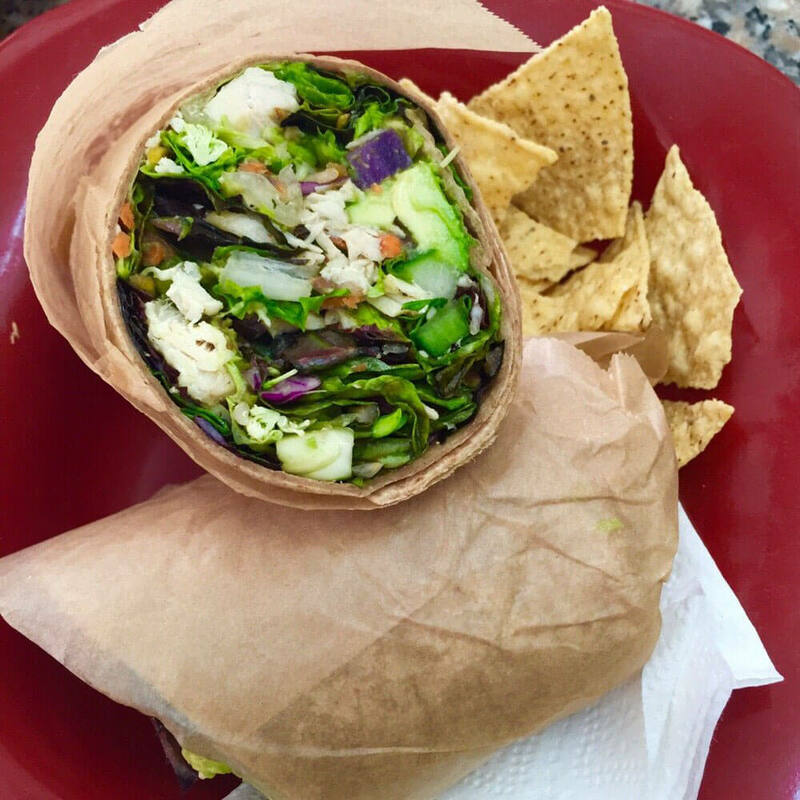 They serve made to order wraps, salads, sandwiches, smoothies, and much more. If you like to eat healthy, Bamboo Fresh is the place for you. Their motto is: “Serving food that makes you feel good!” They make delicious smoothies, and their menu is perfect for picnicking at the beach or taking along on a hike. 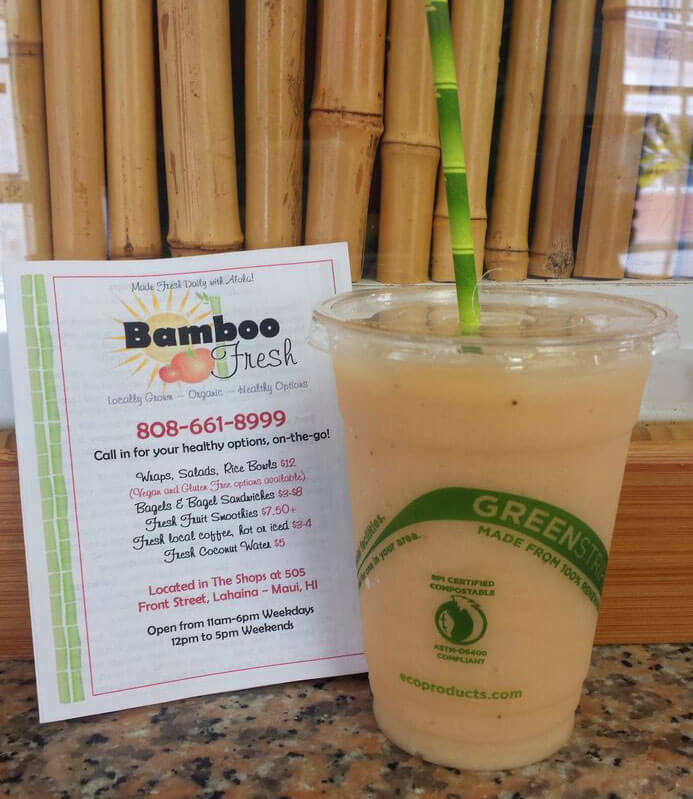 You can’t get any fresher than Bamboo Fresh!